Life is best when love money and relations are growing in harmony, but today we find 7 out of 10 couple reports that disagreement about money matters are disturbing their love and relations. This may be because many couple ignore topic of money in early stage of relationship. 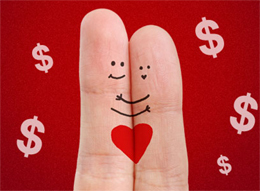 So we are herewith tips to maintain harmony in love money and relations. Many couples do not talk openly about money. Our advice to such couple is find convenient time to talk about money. Sit down with your partner and discuss about your goal, preferences, desires, investments, expense, spending habits etc. You need to calm and cool while discussing this matters. If you try to talk about financial matter and your partner deny or get defensive you must explain him/her about importance of financial matters. I am sure talk about money can solve many problem and can make your relationship healthy. 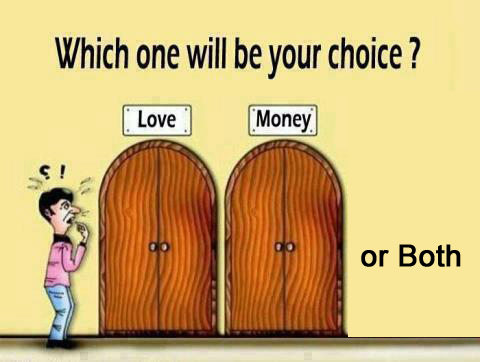 Study reveals that when it comes to money men and women often have different prospective. Women think security and stability first. Women like to save money for emergency. Men prospective is different they think of growth and future. Men are ready to take more risk for earning more money. So it becomes task to achieve best of both world while drawing financial plan. Compromise and keeping ego aside is key here. If you find strong conflict consult financial advisor before it is too late. Do share each and every detail with partner like where you invested money, where you lost money or if you have taken any loan to match any expense. This will help your partner to understand your current financial situation and she may help you to come out from this situation. It is important to set rules and limit when it comes to spending money. You can set rule E.g Up to expense 500 Rs/- no need to consult each other above that you need to discuss it before item is purchased. Best method for this is to make budget and track all spending on monthly basis use simple expense tracker by google.